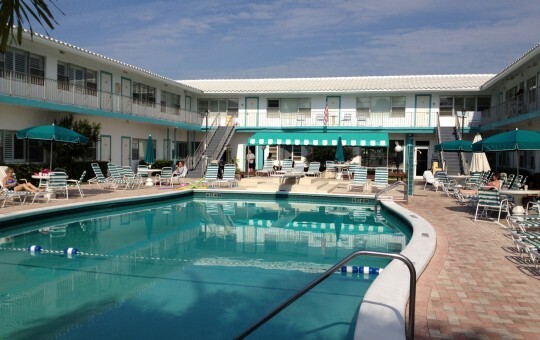 Driftwood Beach Club is conveniently located on the Atlantic Ocean in the heart of Lauderdale-By-The-Sea, we are one block north of Commercial Blvd on the east side of State Road A1A and are easily accessible from the Florida Turnpike, I-95 and U.S. 1. Why not lounge away poolside in our 55′×33′ swimming pool, the largest in Lauderdale-By-The-Sea, or enjoy our other amenities, including three gas barbecue grills, a new jacuzzi, a large garden patio and two shuffleboard courts directly on the ocean next to our private beach.Nearby, you can find everything for the perfect family vacation. We’re just moments away from a variety of fine restaurants, boutiques, grocery stores, banks, car rentals, fishing pier, marina, tennis courts and a children’s playground… all within walking distance.